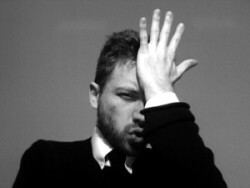 On the road to becoming a job search expert, here are some job search mistakes that I've made along the way. In 1999, I interviewed for the position of Web Developer at what would become Amazon.fr, Amazon.com's French website. After a few rounds of interviewing and a test of my HTML skills, I was back at the table sitting across from the head of HR as she made me an offer to join the team of people who would go on to build their new website. Since I didn't yet have a European (Schengen zone) work visa – Amazon would need to formally sponsor my visa application for that – the offer wasn't an actual contract, more like the outlines of one. Like most people, especially someone who was interviewing for their first ever full-time job, my initial focus was only on money. The number thrown out at me was a decent salary for an entry-level developer but I already had a standing offer with another company that was 5% higher. “I'd like 5% more,” I told her. What she was saying made no sense to me but I simply didn't know how to respond to it. Actually, a better response would have been to tell me – if true – that all team members of equal responsibility would also get equal pay. That I would have understood, even if I didn't really care. I just wanted the most I could get. On top of my lack of response, I had already decided that I wanted the Amazon job more than the 5% higher-paying one. So I fell for it and eventually signed with them at the proposed pay. And the team member with a Master's degree? She didn't last 3 months in the job. In August 2001, I resigned from Amazon to leave France and move back to Israel after being away for 2 years. My plan was to take 6 months off to decompress and then start my first real Israeli job search. Coming off my success at Amazon, I expected that it would take only 1-2 months to find a good job since people would be impressed with a hotshot from the e-commerce powerhouse that Amazon was at the time. After only 3 months of relaxation – mostly reading in the sun – I decided that I'd had enough and was ready to go back to work. I updated my resume, translated it to Hebrew and began looking for jobs and companies that I wanted to work for. The first obstacle appeared right away; there just weren't too many big Israeli e-commerce companies that could appreciate my skill set. Oh sure, people were impressed with my Amazon accomplishments but they couldn't see where to fit me in their (or their clients') own organizations. And I didn't know how to reposition myself to become more attractive to other companies. My next obstacle was a far more critical one- the bursting of the dot-com Bubble. This was November 2001. High tech companies were collapsing all around the world but especially in the meccas of Silicon Valley and Israel. The few companies left standing were the ones who tightened their budgets, laid off staff and stopped hiring. Wherever I looked there seemed to be no more jobs available, even after I opened myself up to relocation anywhere in the country. Nothing. I did eventually get some job offers but the best one involved moving back to France, which is what I did in September 2002. Looking back now, there were so many things I did wrong during that job search, it's almost laughable, as if the job offers came not because of my efforts but despite my efforts. 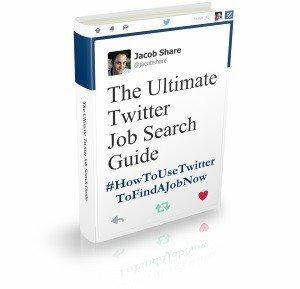 If I had known more about how to job search, I almost certainly would have found at least a decent job, even in those hard times. Have a good grasp of your target industry/location/companies before making related decisions. Be realistic when making estimates, get second opinions, track & adjust as necessary. Prepare yourself to adapt so as to increase your odds of reaching your job search goals. 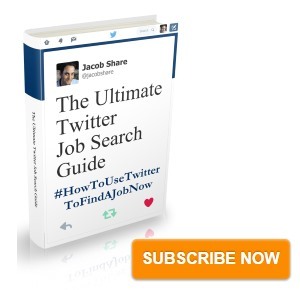 Subscribe to JobMob via email and follow me on Twitter for more real world job search experiences to learn from. Die schlimmsten Fehler bei der Jobsuche: http://bit.ly/Z1k04 Andere Vorschläge? RT @danielrettig Die schlimmsten Fehler bei der Jobsuche: http://bit.ly/Z1k04 Andere Vorschläge? RT @Karrierebibel: RT @danielrettig Die schlimmsten Fehler bei der Jobsuche: http://bit.ly/Z1k04 Andere Vorschläge? Your story is instructive on so many levels, and I agree with your takeaways. I would add the overriding theme that is so critical to being an effective change manager: Plan Ahead. Our ability to anticipate change has a direct correlation to our success in that transition, which means do the research ahead of time. That way your plan is informed by your research and networking, rather than the other way around. You’ll get all kinds of feedback and suggestions on our plan – and a much better shot at successful time off and return. Great blog, thanks! I am inspired by your 3 months reading in the sun! That’s now on my list! All too often, people avoid planning ahead because they feel they don’t know where to start or even where to end! Of course you’re right though. It is always good to have a Plan A and a Plan B, and to continuously track whether you’re achieving your goals or not. Interestingly enough, this was actually the 2nd time in my life that I spent over 4 weeks just reading in the sun but because of the choice of career-related books, those relaxing learning sessions helped me make career jumps when I got back to work. Time well spent, indeed. Interesting story. I think the theory is ok if there are jobs available. If, however, you are having 12 people applying for every job vacancy then there is a paradigm shift. In that case you need to have more than a 100% match to the requirements before they will even look at you. Assuming that is the case and there are five others exactly like you, then the hunt is one and you need to win! Hessel- regardless of how many competing candidates there are, the winner is the one in the group who does the best job convincing the hiring company that their needs will be met above & beyond. Of course, the more candidates there are, the harder that is but frankly, so few job seekers do a good job targeting the hiring company well, so focus on that.